Eight-Minute Empire: Legends is a standalone sequel to the area control game Eight-Minute Empire and does not require the original game to play. Just like the original game, players take turns selecting a card from six on display. 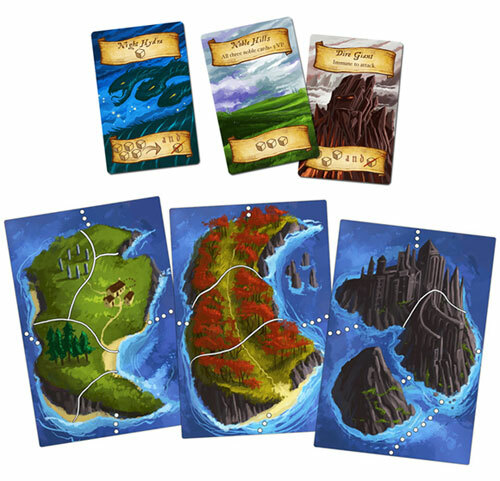 The card has an action that the player takes immediately, and actions help players take over the map – but what’s new and different in this version? Add a Review for "Eight-Minute Empire: Legends"